Excellent location. Close to Post Office, fine restaurants, Publix and all the action in beautiful downtown College Park. Easy access to I-4 and major highways. Great investment property with extraordinary potential. Main house has spacious bedrooms with eat in kitchen. In Law Suite is ample and private. Brand new AC installed last year. Live in the main house and rent in law suite to assist with your income. Lot is 50 X 134.45. Lot Size: 0.15 Acres / 6745 Sq. Ft. Directions:From Colonial Dr north on Edgewater Dr. approximately 1 mile Guernsey St is on the left. House is on the right. SchoolsClick map icons below to view information for schools near 723 Guernsey Street Orlando, FL 32804. MFRMLS data last updated at April 19, 2019 12:10:18 PM PST. Home for sale at 723 Guernsey Street Orlando, FL 32804. 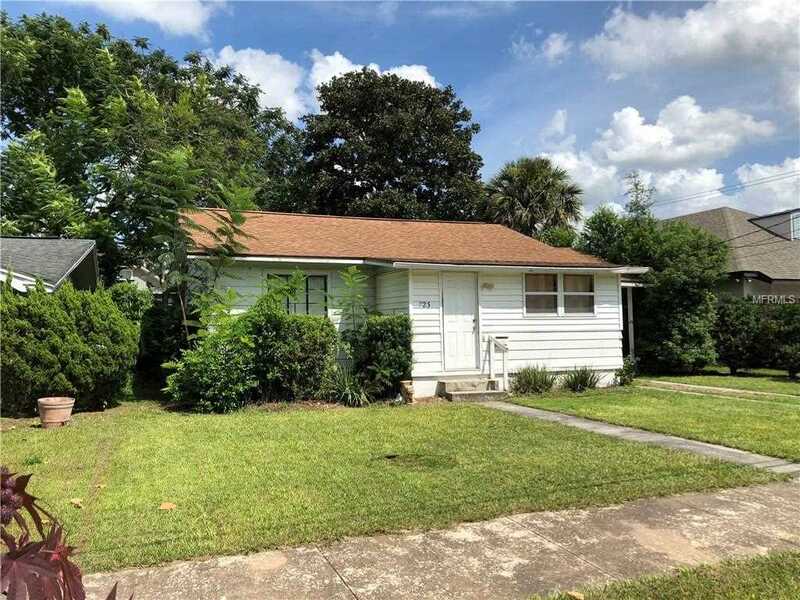 Description: The home at 723 Guernsey Street Orlando, FL 32804 with the MLS Number O5744259 is currently listed at $250,000 and has been on the Orlando market for 165 days. You are viewing the MLS property details of the home for sale at 723 Guernsey Street Orlando, FL 32804, which is located in the Yates Sub subdivision, includes 3 bedrooms and 3 bathrooms, and has approximately 1794 sq.ft. of living area.